The pursuit of truth is at the very heart of scientific research. This puts scientists in a challenging situation during a time when “post-truth” is the most recent Oxford English Dictionary Word of the Year. In everything from climate change denial to the anti-vaccine movement, we’re seeing the consequences of a failure to engage with scientific evidence. As scientists, it’s more important than ever to uphold our values and to combat the culture of fake news with informed, evidence-based debates. For the past year I have been working with my colleagues in the World Economic Forum’s Young Scientists Community to draft the Forum’s Code of Ethics for Researchers. The principles at the core of our code, recently praised in Nature, are that researchers and the organisations that represent them must engage with the public, pursue the truth, maximise benefit and minimise harm, engage with decision-makers, support diversity, be mentors, and be accountable. The importance of the principles espoused by our code can be threatened swiftly, unpredictably and from unexpected places. Over the past year, the Brexit referendum and the election of Donald Trump as US President caused a seismic shift in the geopolitical climate. A populist backlash against scientific consensus and expert opinion threatens the principles that provide the foundation for our scientific pursuits, but this should only strengthen our resolve. Our code must never be taken for granted, at times must be fought for, and must, at all costs, be upheld. A few examples show what is at stake when the code breaks down. One of the most notorious cases is that of Andrew Wakefield. 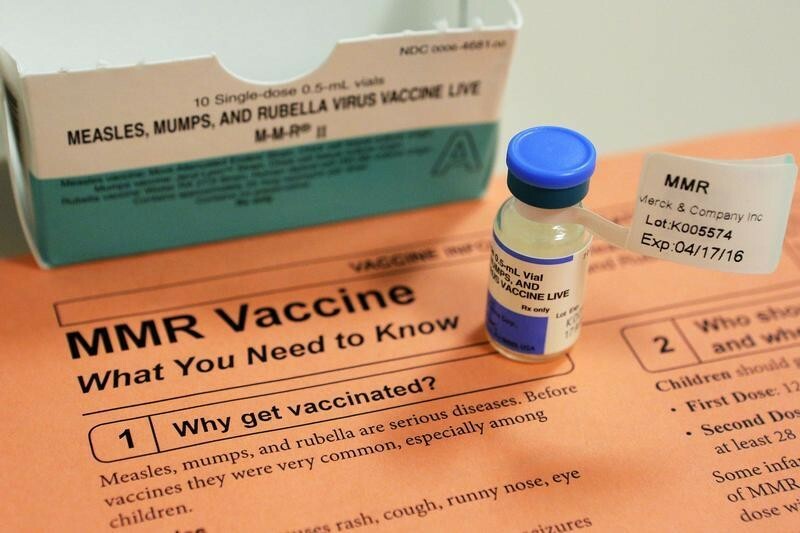 In 1998 he published a paper in The Lancet reporting a link between autism and the measles, mumps and rubella (MMR) vaccine and called for this life-saving immunization to be suspended. Wakefield’s initial publication was followed by numerous failures to replicate his findings, evidence that strongly indicates he heavily falsified the data in the original study, the revelation of commercial conflicts of interest, and the retraction of his original paper and numerous others. Despite this plethora of evidence, the myth of the MMR-autism link lives on today. It is particularly disconcerting that the current US President appears to sympathise with the anti-vaccine movement, who continue to peddle lies and mistruths. This flies in the face of the hard work being conducted by medical and public health experts who are trying to prevent and undo the large-scale damage these falsehoods lead to, including a major outbreak in Minnesota. Measles is a serious and potentially fatal disease that had been eradicated from the Americas. New infections and major outbreaks are also sharply rising in Europe, with the populations of France, Germany, Italy, Poland, Romania, Switzerland and Ukraine now all believed to have fallen below the critical 95% immunization threshold. Another worrying development in the United States was a recent move to restrict scientists working in federal agencies from communicating directly with the press or with the public on social media. Given that engaging with the public is one of the principles at the centre of our code, this presents a considerable challenge. It is essential that scientists are able to communicate important findings to the public without interference and these recent moves are a direct threat to this. This brings us to another principle in our code: engaging with decision-makers. Researchers should promote evidence-based decision making and help translate findings into positive societal change. This requires trust. Trust on the part of the decision-maker that the researcher or representative organisation will present unbiased and, where possible, consensus based recommendations. Trust on the part of the scientists that the decision-maker will make good use of the information they provide. When governments’ actions contradict the information they receive it not only breaks this trust but also denies people the evidence-based decision-making they deserve from their leaders. A striking example of this is the Trump administration’s recent decision to withdraw from the Paris climate agreement, which comes off the back of years of unfounded and irrational climate change scepticism expressed by the current US President. Let’s be clear, consensus among climate scientists that human activities are changing the climate stands at about 97% – equivalent to the consensus among health professionals that smoking causes lung and cardiovascular disease. Climate-change denial by large organisations and governments must be interpreted for what it is: denial of consensus information being clearly and accurately communicated to them by the experts. Overcoming this denial is made all the more difficult when media organisations fail to accurately represent the consensus view. Whilst diversity is undesirable when it pertains to unbalanced reporting in instances where a clear consensus exists, it is strongly encouraged in a broader sense in science. Indeed, diversity and good science go hand-in-hand. For this reason, another core principle of our code is to support diversity. Scientists and scientific institutions need to ensure the ideas of all are evaluated equally on the basis of evidence. Establishing, maintaining and prospering from this diversity is greatly challenged by the xenophobia that seems to be once again growing, particularly in parts of the Anglosphere. The UK’s Brexit vote has led a large number of foreign scientists to ponder leaving the UK, with many citing that they feel less welcome or now see better opportunities elsewhere. Policy developments in the USA and Australia pose a more direct threat to diversity in science, potentially wholly preventing some foreign scientists from working in those countries. Science knows no boundaries, no race, no creed and no religion. These worrying developments threaten the diversity that has contributed immensely to so many important discoveries. 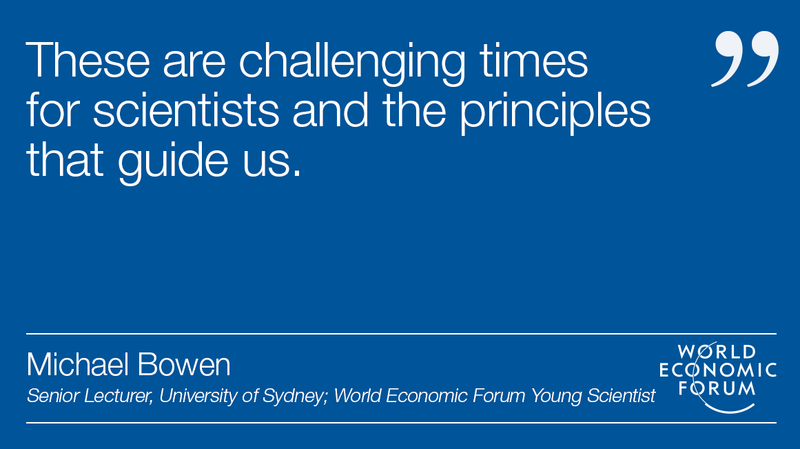 Ultimately, these are challenging times for scientists and the principles that guide us. How do we effectively pursue the truth and communicate our findings to the public in an increasingly post-truth world? How do we promote evidence-based decision-making in an era when leaders shoot down inconvenient truths as “fake-news”? How do we create trust between scientists and decision-makers? Scientists will not be able to solve all of these problems, and certainly not alone. What is certain is that we must remain steadfast in the pursuit of science. These are challenges scientists have faced before, and will likely face again. For me, working on this code of ethics has highlighted the need for the scientific community to come together in solidarity to reaffirm and defend the principles that not only guide us, but define who we are as a community in the pursuit of truth and the betterment of the world.